Located in Granada, Nicaragua, La Esperanza Granada is a non-profit organization with a primary focus on creating opportunities for children through education. ‘Born’ in 2002, we started in one small village and now provide learning opportunities to more than 2,000 underprivileged children living in the barrios of Granada. In the morning, English classes are run in our learning centers for older children who go on to attend school in the afternoons. In the afternoon, our learning centers are transformed into a hub of educational activities for younger children, with volunteers assisting the children in areas such as Maths, Art, Spanish, Computing and Reading. Volunteers join us from around the world and work alongside local volunteers, called ‘ayudantes’, who are all local students receiving a university scholarship through La Esperanza Granada. 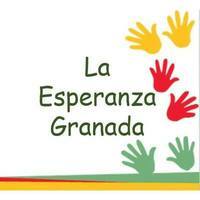 Please visit our website, www.la-esperanza-granada.org, for more information.